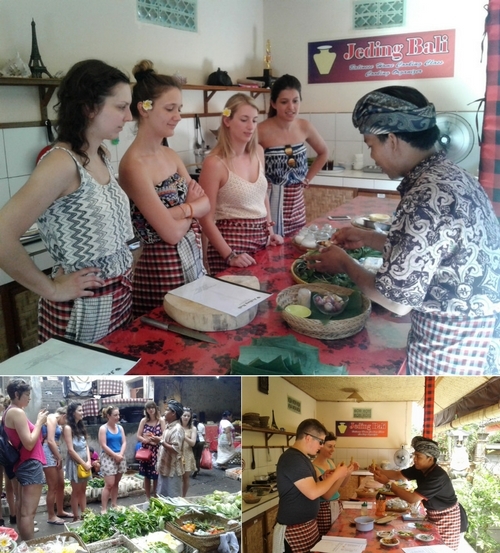 Welcome to Jeding Bali cooking class, Balinese home cooking class in Ubud. Balinese cooking class is creative process and simple a lot of fun. You will learn the technique and become familiar with the fresh herbs, spices and many other ingredients which make Balinese food delightfully taste. Our friendly chef will look for many hand to teach carefully and let you cook every single food such as chopping, grinding, frying, grill the satay with coconut shell and many others. It will be great activity during your holiday in Bali. In Jeding Bali Cooking Class you will be guided and demonstrated by our experienced chef in the Balinese compound house with a beautiful setting overlooking a deep ravine with green vegetation surrounded. You will meet the family who will make you feel very welcome. 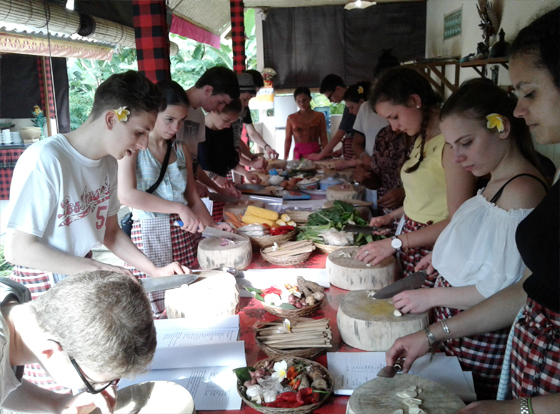 Jeding Bali Cooking Class located in the small cute village called Laplapan village nearby Ubud. 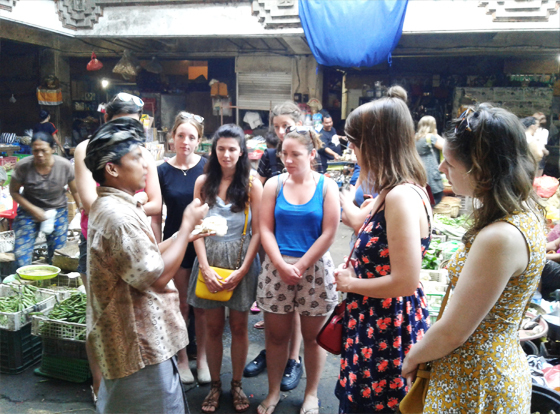 Our guides will bring you to visit the traditional market to experiences daily activities at traditional Balinese market and learn how the local people buy their food. Meet and talk with local Balinese people very welcome and warmly, feel free to ask about their daily activities and learn about local wisdom. 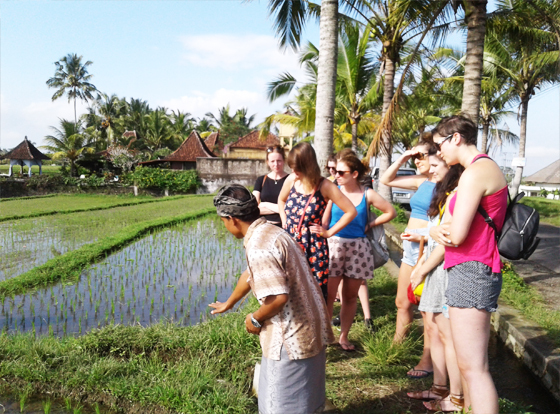 After the traditional market proceed our guides will bring you to visit beautiful rice field to learn about water irrigation system called Subak and learn how they grow rice. Beautiful overlooking rice paddy bring you to feel the real Bali. Welcome to Jeding Bali Balinese compound, you will be welcomed by Jeding Bali family in the Balinese compound house with family temple setting, here you will learn how to make Balinese cuisine with secret spice and learn how to make Balinese offerings Kuwangen and Canang Sari it’s made from coconut leaf with beautiful colorful flowers.